Other cats love the Inflatable Unicorn Horn for Cats, but your cat is different. 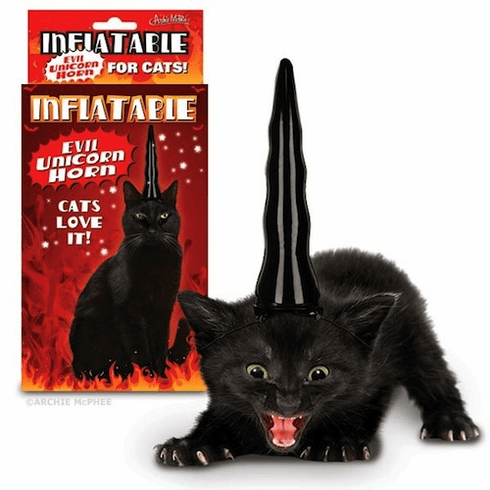 For cats with an attitude weÕve made the Inflatable EVIL Unicorn Horn for Cats. ItÕs the same as our bestselling vinyl 5-1/2"(14 cm) long unicorn horn with a four-point elastic strap system to hold it on tabbyÕs noggin, except the horn is as black as your kittyÕs soul.